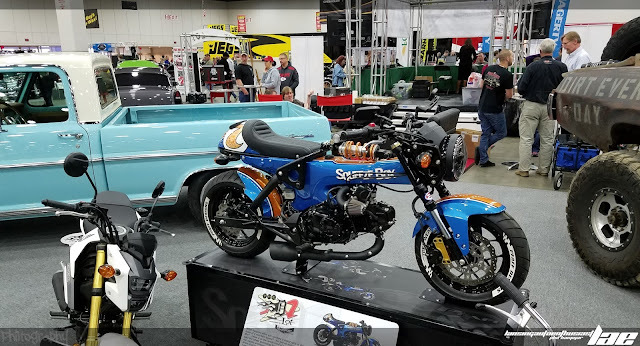 To wrap up my AutoRama coverage, here is a selection of the motor bikes at the show. This little Cushman Scooter was pretty cool. Almost like a miniature Harley. 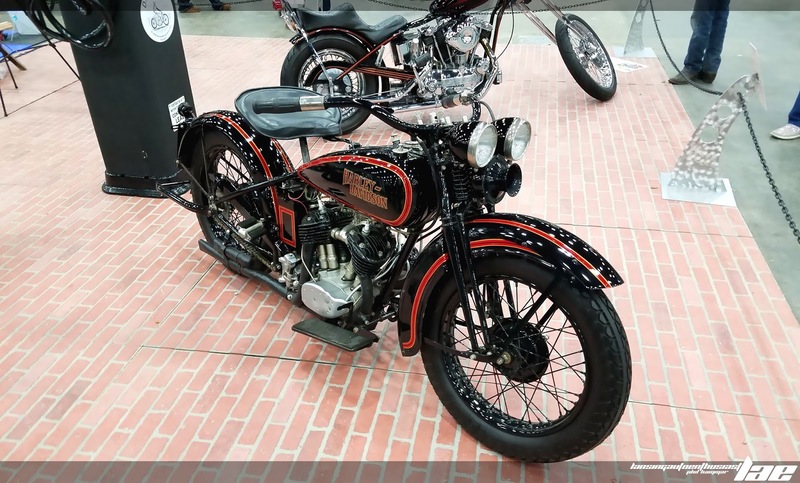 This vintage Harley was awesome. 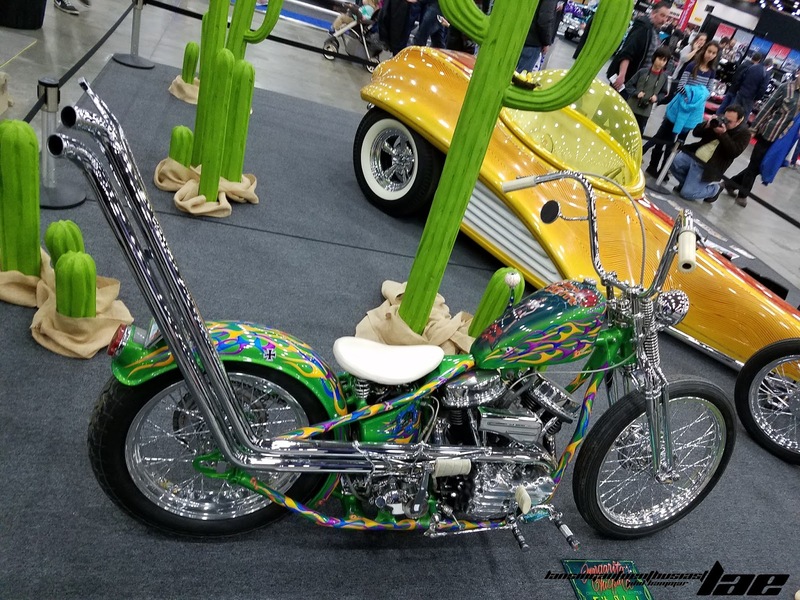 I'm not even a fan of motorcylces, and I'd ride it. 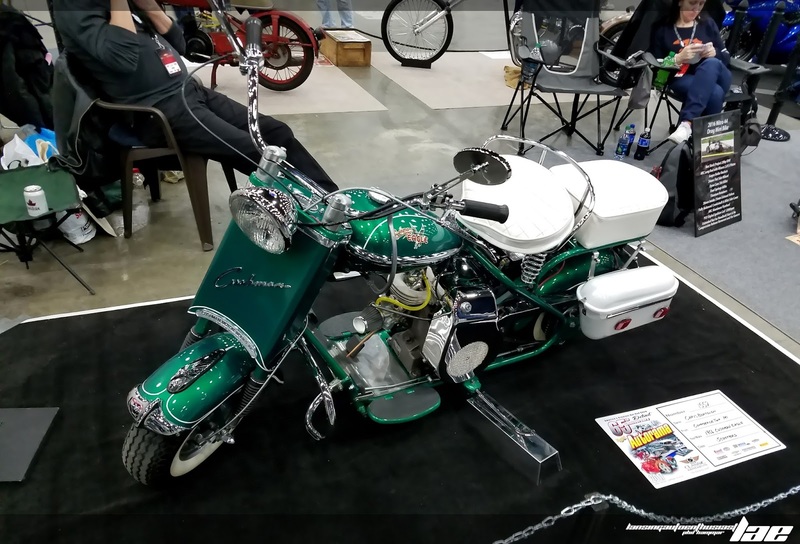 This "Rat Fink" themed bike with what looks like Bosozoku pipes was interesting. 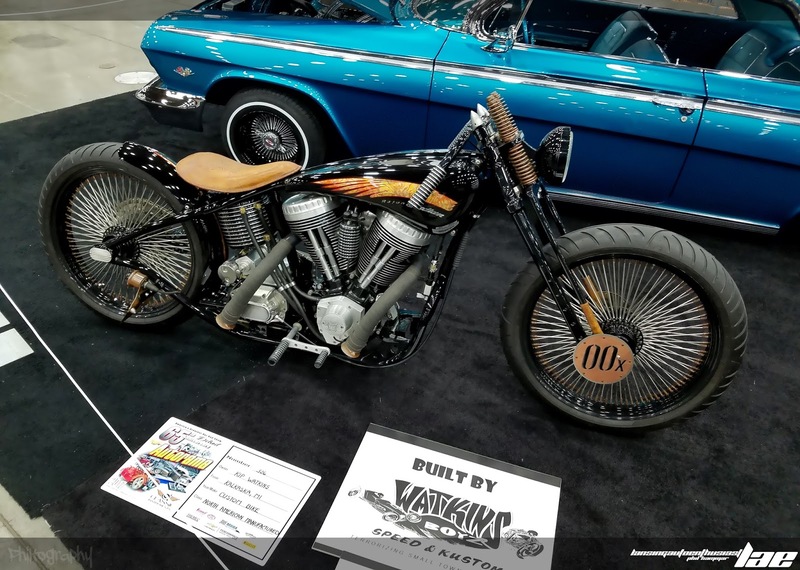 Very 1970's "Kustom". 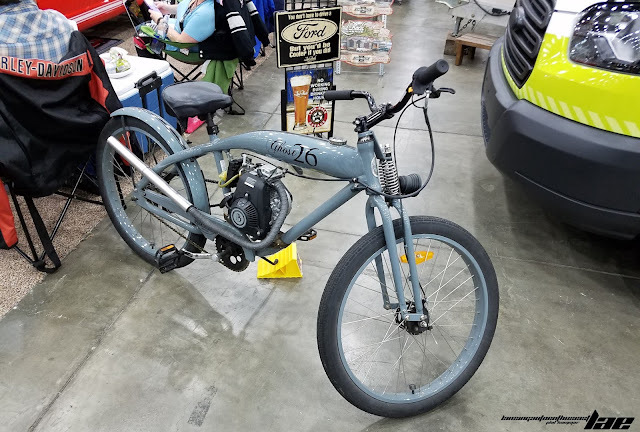 This motorized bicycle, made by Phantom Bikes, uses a chinese-built 49cc engine on a fully custom bicycle frame, was pretty cool. Jay Leno did a video on it on his channel, "Jay Leno's Garage". This custom-built bike was very cool. Very vintage looking with a modern flair. 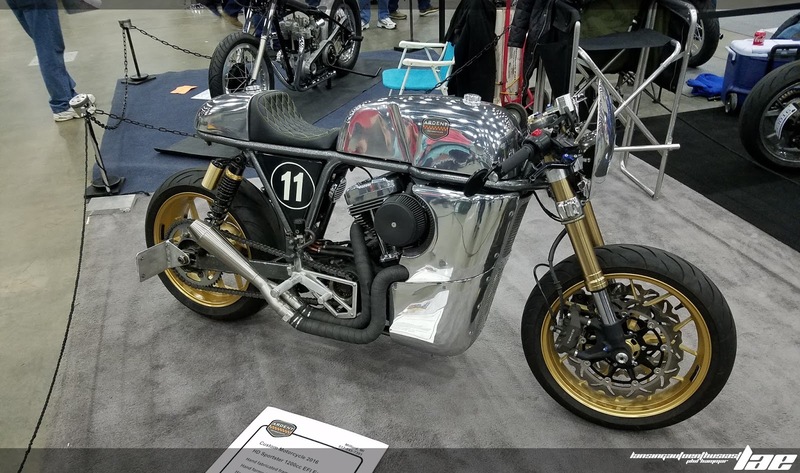 This custom Cafe-Racer style bike was pretty cool as well. This variant of the Honda Grom, called the "Squeeze Box", was pretty interesting. 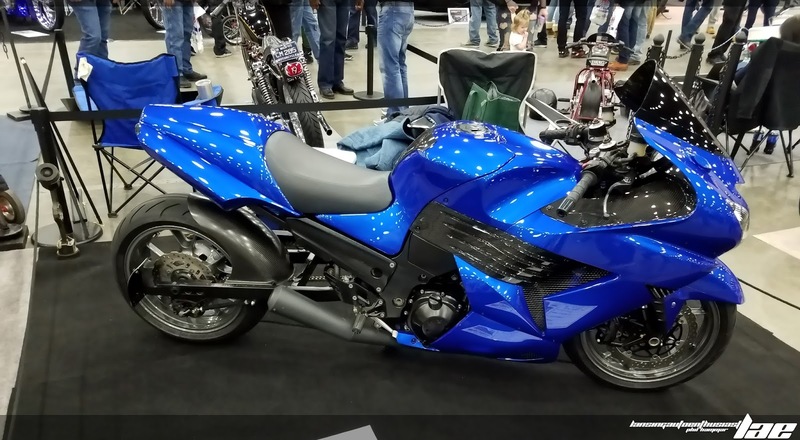 Finally, what appears to be a Hayabusa with an extended swing arm.